With an artist like Otis Redding, who is truly a legend in every sense of the word, the market bears countless compilations, greatest hits collections, and bargain basement truck stop best of’s. Both official and not so official. And yet, despite all of this (at times crude mass packaging) the power of the man’s music has never been diluted. Respect. With this latest addition to the Redding canon there is still something very special about a classic LP being dusted off, revisited and reissued with some choice bonus material. 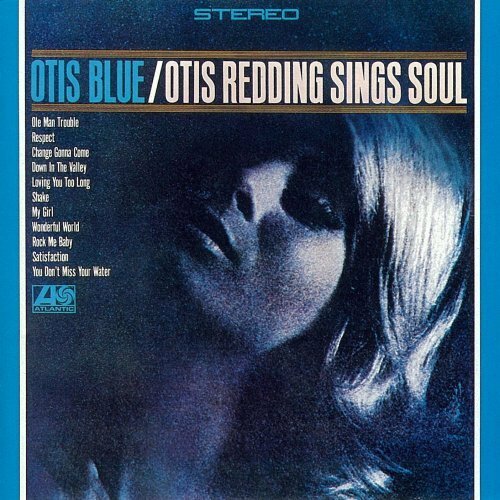 Enter, the two disc, Otis Redding Sings Soul. Backed by members of Booker T. & the M.G.’s Sings Soul finds Redding’s performance and vocals at the top of his game. This is soul music. Reissued a couple of months ago, this new set comes with a bonus disc featuring cuts from a 1966 live appearance at L.A.’s Whisky A Go Go as well as both the mono and stereo mixes of the album. Otis fans should not hesitate to dig in. The greatest voice in rock. Forever. If you’re pondering buying it for the 4th time in different formats, (sigh), don’t hold back. They’ve done right by the man, and it’s never sounded better. Stereo for the ‘phones, and a mono mix that leaps outta your car & rips your heart from your chest…Money well spent. yeah, the cover is bizarrely lame… reminds me of the previous post debating the merits of dylan’s blood on the tracks album art. regardless, i think i’m gonna have to pick this one up- pretty incredible stuff here! It doesn’t matter about what the cover looks like, the music inside is amazing. I have this original release on vinyl. It still sounds amazing, despite (or maybe because of?) the pops and occasional skips. Thanks for the post. We love your site , We’ve started new private mp3 blog email us for the URL and an invitation code.